Whether your company has liaison activities with Scottish associates or you're looking to take advantage of the U.K.'s financial incentives to start an enterprise of your own on Scottish soil, it's important to observe their business formalities and social customs. The more you know before you go, the better impression you can give of your company and of your home country. There are two things you must never, ever do in your professional or social interactions with the Scottish people. The first is to incorrectly refer to them as "Scotch". Scotch is an alcoholic beverage. The people of Scotland are called Scots or Scotsmen. The second taboo is to incorrectly refer to their kilts as "skirts." Kilts are worn by both sexes and it's not uncommon to see Scottish businessmen wearing kilts and jackets to work or meetings. The formal version of Scottish attire is also often worn instead of a tuxedo at dressy events. Resist the temptation to ask a Scotsman what he is wearing under his kilt; this would be as rude as asking a total stranger what kind (if any) underwear he's wearing. Scots are as proud of their distinctive wardrobe as they are of their spirited heritage and do not take kindly to individuals who make jokes about either one. Scottish loyalties run very deep and if you establish a friendship with a Scotsman over the course of doing business, it's likely to be one that will endure for the rest of your life. Unfortunately, Americans have a tendency to rush relationships and engage in effusive touching and hugging that assumes a level of familiarity and intimacy that has not yet been established. The Scottish people in general are friendlier than the English and will strike up conversations with strangers or walk them to their destination even if it's in the opposite direction they were traveling themselves. This shouldn't be construed, however, as an invitation to hug them upon every arrival and departure, sit too close, or give them playful punches or jabs. The Scots are very low contact when it comes to physical touching. This means that business handshakes are light as opposed to aggressive, conversations are literally kept at arm's length, and respect for personal space is critical for building trust. A Scot's perception of someone who is a little too eager to move in is that he'll be just as fast to beat a hasty retreat if things don't go exactly the way he wants. If you have a natural tendency to talk loudly, dial it down when you're doing business with Scots. This is especially important in public settings such as restaurants and lobbies. If you're talking too loudly, you're not only drawing attention to yourself but also to your Scottish hosts and they'll consider this bit of embarrassment to be offensive. Nor should you engage in lots of interrupting during a conversation; you'll be perceived as a bully who is trying to impose his own views without thoroughly considering the other party's position. Politeness is paramount with the Scots and they eschew confrontation in business settings. Unless and until you're invited to address colleagues by their first names, use Mr., Ms., Dr., or Sir (the latter distinguishing those who have been knighted by the queen). Never ascribe a plucky nickname or shorten a name (i.e., "Joe" instead of "Joseph"). Although the Scots use very few hand gestures when talking, they'll pay close attention to yours. (And that goes for finger gestures that some people use to express vexation.) A person whose hands are a flurry of activity as they explain something may be perceived as trying to create distractions from the subject being discussed. This, in turn, can lead to distrust. Be careful, too, that if you make a "V" sign with your index and third fingers to communicate peace or victory that your palm is facing outward, not inward. 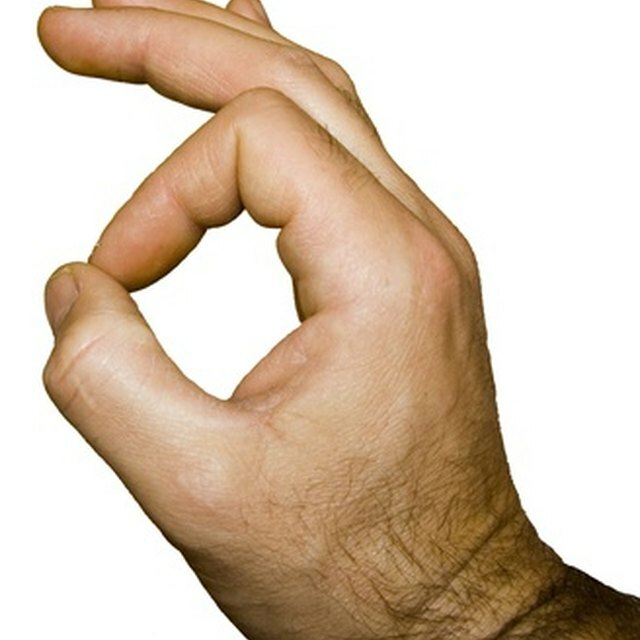 The sign made with the hand facing inward is taken the same as raising the middle finger alone is in the United States. As for the face, the Scots place a lot of weight on a person's ability to maintain eye contact while they're talking and listening. This conveys sincerity and interest in the other party's feelings and opinions. Just make sure you don't turn it into a hard stare that could make them feel uncomfortable. Scottish businessmen will have an expectation that you're not only well versed in what's going in the U.K. economy but that you also stay abreast of events going on throughout the rest of the world. They're especially interested in chatting about the American political system but it's important to keep in mind that national programs involving health care, education, insurance, transportation and prisons hold more curiosity for them than hearing your personal political views and/or rants or who you voted for in the last election. The Scots are also passionate about their own heritage and turbulent history with the English. It will serve you well to brush up on Scottish history before you go. If they drop the name "Bonnie Prince Charlie" into a conversation, you don't want to be the dunce who thinks they're talking about William and Harry's dad. Although gifts aren't typically exchanged during a first meeting, it's appropriate if your company has been doing business with a Scottish entity for a period of time to bring a tasteful present that is made in America. Ideally this will be something that was mentioned in earlier conversations as being a desired/admired item. (It shows you were paying attention.) Appropriate gifts include autographed or rare books, collector items, art, or gourmet baskets. Exercise caution, though, that an expensive gift won't be interpreted as a bribe for future favors from the individual or his company. Always send a written (not emailed) thank-you after a meeting to demonstrate that you value their time. If a business associate invites you to his home for dinner, bring a nice bottle of wine as a token of your appreciation. A host will always offer the first toast; as a guest, you'll be expected to reciprocate and offer a toast of your own. Always allow extra time to get to your meeting place. Punctuality is expected and appreciated in Scotland. Even though meetings typically start out very slow and involve jokes and general chatter about current affairs, this is no excuse to make a late entrance. What a late arrival communicates to your Scottish counterparts is that you feel nothing is of importance until you're on the scene. This can set a negative tone for the rest of the meeting or presentation.